Mumbai: There has been a 9 percent rise in the quantum of unspent money set aside by the NSE-listed companies towards the mandatory social spends in fiscal 2018 at Rs 1,717 crore, even as there has been an 11 percent rise total spends at Rs 10,030 crore in the year, says a report. 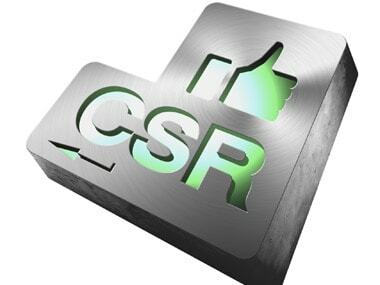 The unspent component of the mandatory corporate social responsibility (CSR) rose to Rs 1,717 crore in fiscal 2018 as against Rs 1,574 crore in the previous fiscal year, according to the data released Tuesday by Prime Database. The agency did not offer any particular reasons for a large quantum of money going unspent, though. It could be because there was no demand for money from third-party agencies or it could be a reflection of the overall rise in the profitability of these companies. The new Companies Act of 2013 mandates publicly traded companies with Rs 100 crore in annual profit or Rs 500 crore in annual turnover to set aside 2 percent of their profits for affirmative/inclusive social action. Only half of the 1,708 companies listed on NSE have a CSR committee in place despite the CSR Act mandating the same. However, the overall spends by the 1,080 NSE-listed companies who fall under the 2 percent mandatory CSR spend category rose 11 percent in fiscal 2018 to Rs 10,030 crore from Rs 9,060 crore in the previous year. In the past four years since the introduction of the mandatory CSR spends, the spending by the NSE-listed companies has grown at a compounded rate of 16 percent per annum. It said inequalities reduction, national heritage, the Armed forces, sports, technology incubators and slum development were the most neglected areas when it comes to corporates choosing for their CSR spends. The spending list was topped by education sector at Rs 3,817 crore and followed by healthcare which saw inflows of Rs 2,509 crore, it said. Maharashtra topped the list of states receiving the largest amount of money for CSR, followed by Gujarat and Rajasthan, while eight states saw a decline in spends. 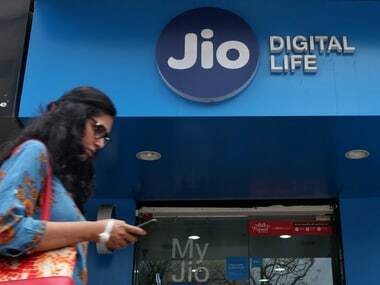 The top companies in the list of spenders were led by Reliance Industries at Rs 745 crore, followed by ONGC (Rs 503.44 crore), TCS (Rs 400 crore and HDFC Bank (Rs 374.54 crore), it said. The total number of companies which missed the mandatory 2 percent CSR spend target came down to 345 in FY18 from 361 in the previous year, it said.